Apple for a Trillion, Alex. 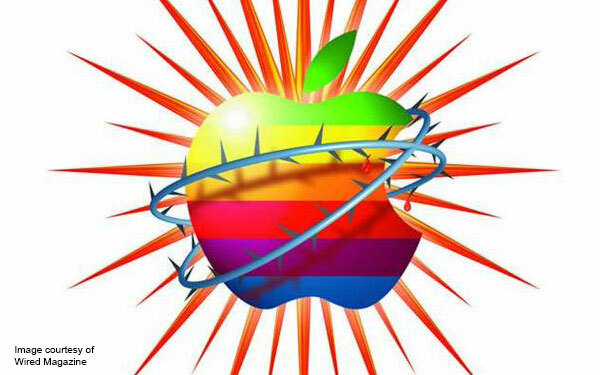 Home / Branding / Apple for a Trillion, Alex. When trying to explain, with precision and authority, what “Branding” is, it can be helpful to review what a brand is NOT. It’s NOT a logo, a tagline, or an “elevator speech.” And it’s NOT an ad, it’s not public relations, and it’s certainly NOT a marketing campaign. A brand is broader than that. In fact, it’s no overstatement to say that a brand is a company or product’s competitive difference. It’s the one thing that says there is no product or company on the market that’s quite like your product or company. It must be unique, ownable, authentic, and—above all—true. More succinctly, it is all that is expressed in everything a company produces, does, or says. Premium brands attract the best quality employees. Consider Apple, Inc., for instance, the world’s first trillion dollar company. You see their brand projected in the sleek design of every product they make. And not just in the tech contained within, but projected all the way through the very packaging in which it ships. It was a founding marketing principle for the company, way back it the 1980s. Mike Markkula was the least well-known of the three founding members of Apple, behind the ubiquitous Steve Jobs and the unpretentious Woz (Steve Wozniak). But it was Markkula who assigned the term “impute” to the Apple personality. It was basically a reminder that all the signals the company would send out would be judged…much like judging a book initially by its cover. Only during the time of Jobs’ exile did the company stray…and it nearly caused its demise. Beige boxes and PowerPC knockoffs. I still vividly recall the June 1997 issue of Wired magazine with the single word “Pray” headline. It’s hard to believe looking back that things had gotten so dire. And today, it’s the most valuable company of all time. That’s the power of branding.